The Instant Read Dial Thermometer is made with a magnified dial, shatterproof lens, and is dishwasher safe. Probe comes with antimicrobial protective sheath. Available in both Celsius and Fahrenheit. 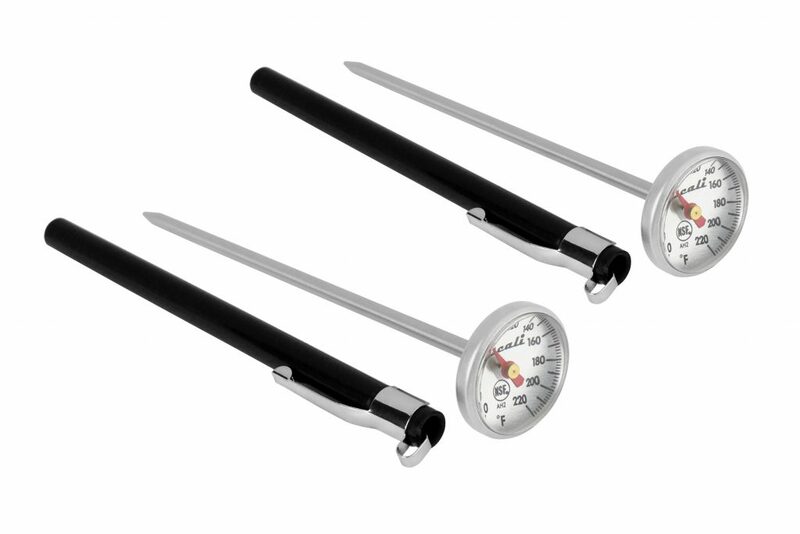 Advanced Digital Thermometer The Advanced Digital Thermometer is a professional grade probe thermometer. Features a protective sheath, wrist strap, and is water resistant. Conveniently fits in chef jacket pocket so it’s never out of reach. 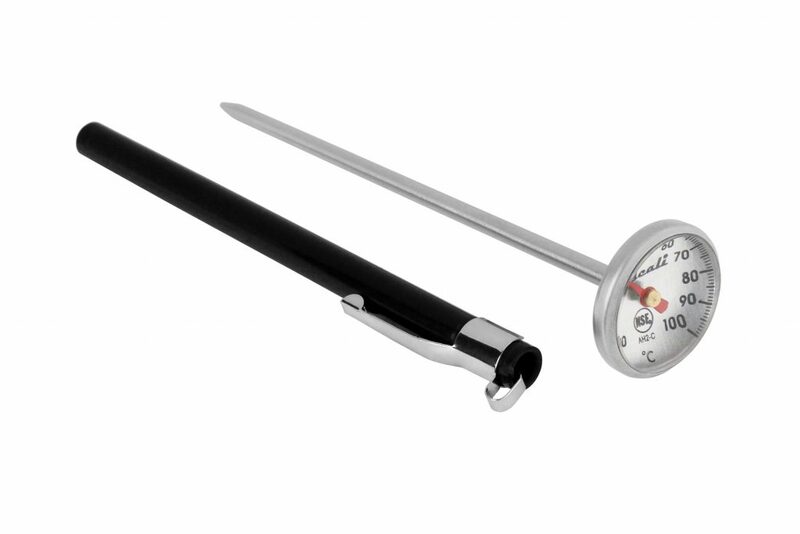 Digital Probe Thermometer The Digital Probe Thermometer features an oven-safe 40" silicon cord for remote display. Allows for easy programming of customer temperature alert and can be displayed using kickstand or magnetically. 7" probe.